and Karen's a happy girl...again! Ok, I'm not sure how much more I can rave about the talents of Nick J. Russo so I'm probably going to keep it short and sweet when I say "I love Nick J. Russo. He's totally one of my favorite narrators' and for me he's totally rocked this series and as long as he's the narrator this series for me without a doubt is an auto-buy." 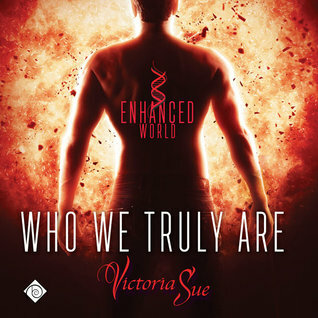 I thoroughly enjoyed the first book so needless to say when "Who We Truly Are" came out on audio needless to say I was on board for this and I really enjoyed this one as well. While there was a sameness at the heart of the story...which, good thing because it's a series and for me part of what I enjoy about a series is that underlying note of sameness that I get from book to book but I also like it when there's something unique about each book, a slightly different touch to the story and with "Who We Truly Are" I got that little bit of difference from the stories focus. I the first book things seemed a bit more centered around the overall story and characters, building the world of the 'Enhanced'. So while we did get the beginnings of Talon and Finn's relationship, we also got to meet the rest of their team and there was a mission to be accomplished. Don't get me wrong I loved that first book or I wouldn't be here now. But I was more than happy when i realized that while there is yet another mission to be accomplished here there is also a stronger focus on building Talon and Finn's relationship and on Talon and Finn as individuals and I really, really loved this. Finn's starting to come into his own as an agent. He's becoming more confident and others are beginning to realize that while he may not be an enhanced he still has something to bring to the team and he's proving himself to be a valuable asset. Meanwhile Talon's struggling with things, he wants to be supportive but his desires to be supportive are also battling with his instincts to be protective and keep Finn safe even a the price of his self-esteem. He loves Finn but can he reconcile what Finn needs from him with what his instincts are telling him to do before he totally looses him and just to complicate things Talon's struggling with changes that are happening to his enhanced powers...changes that no really seems to understand. While both men are struggling with their own inner turmoil they've still go a job to do as young enhanced boys are disappearing and Finn begins to realize that he may well be the solution to this particular mystery. I really like Talon and Finn for me they seem to bring out the best in each other. Each of them making the other look at who they are and who they could be. I loved that both Talon and Finn had to look at their role in their relationship and it wasn't a case of 'it's his fault'. For Talon and Finn it's not just a matter of making their relationship work on a personal level because they work together on the same team they need to work on a professional level as well because when you work with the person you love how good your relationship is or isn't affects people on a more direct level and it added another level to things when other team members weighed in on things between Talon and Finn. At the end of it all I think we're left with Talon and Finn in a better place as a couple but I'm hoping that future stories will let us touch base with this pair while giving stories about the other members of Talon's Enhanced team as they continue to make their world a better place for both enhanced and regular people. I'm really enjoying the unique flavor that this series has while it's in the same genre as some of my favorite series it's still got a unique flavor that's all it's own and I'm looking forward to enjoying more of it with 'Beneath This Mask' the third book in Victoria Sue's 'Enhanced' series. 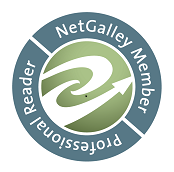 An audiobook of 'Who We Truly Are' was graciously provided by the publisher in exchange for an honest review.